The Classical Mercedes S Class Sedan can take you to the Vancouver zones and pick you up from there in no time at all. Also packages include: decorations, water, ice, refreshments as well. 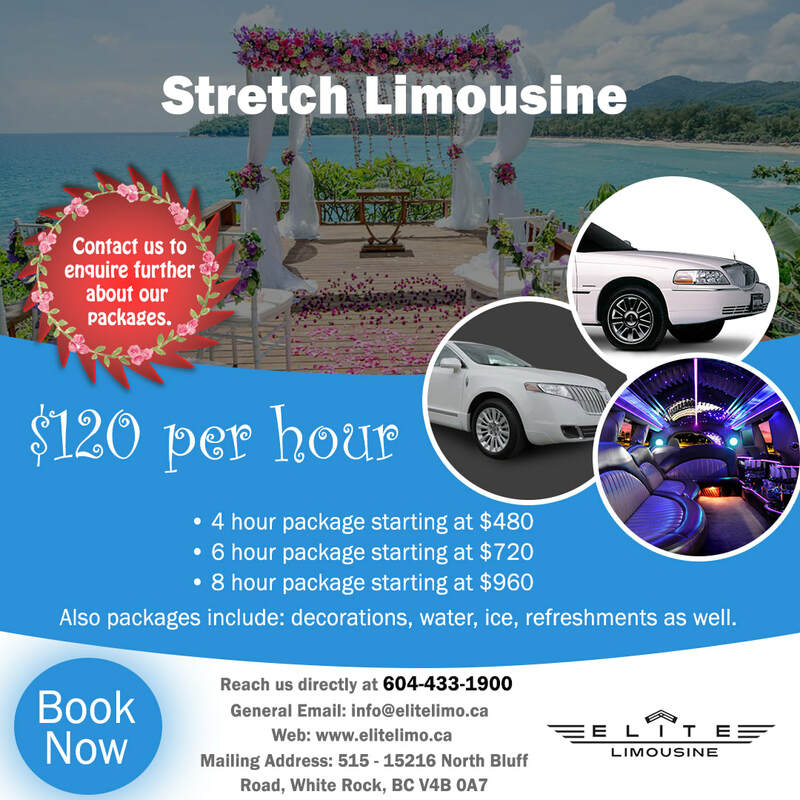 Elite Stretch Limo for memorable events such as your wedding, Elite Limousine goes out of its way to ensure you can relax & enjoy while we cater to you and your guests! 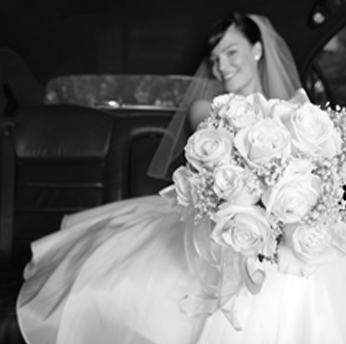 ​Our Stretch Limousine has an passenger capacity. 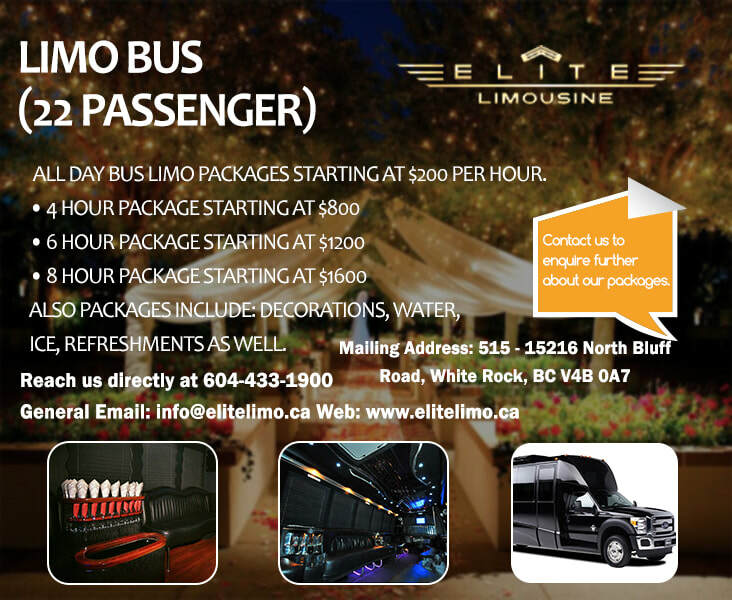 On the other hand, if you’ve got a birthday party to reach, a concert to attend or a casual wine tour with friends, Elite Limousine gets you there on time, any time, We guarantee it. Also, you get a 10% discount on every round trip and airport ride. ​So hurry now to get your discount offer. Reach us directly at 604-433-1900 for bookings and reservations and inquire about our seasonal and more discounts off the package prices. SUV Limousines are one of the finest and luxurious transport that we have. You can hire our SUV's for your birthday, wedding or any event that you want to make it as memorable. Our SUV Limousine has a 12 passenger capacity. The Package that you can't resist! 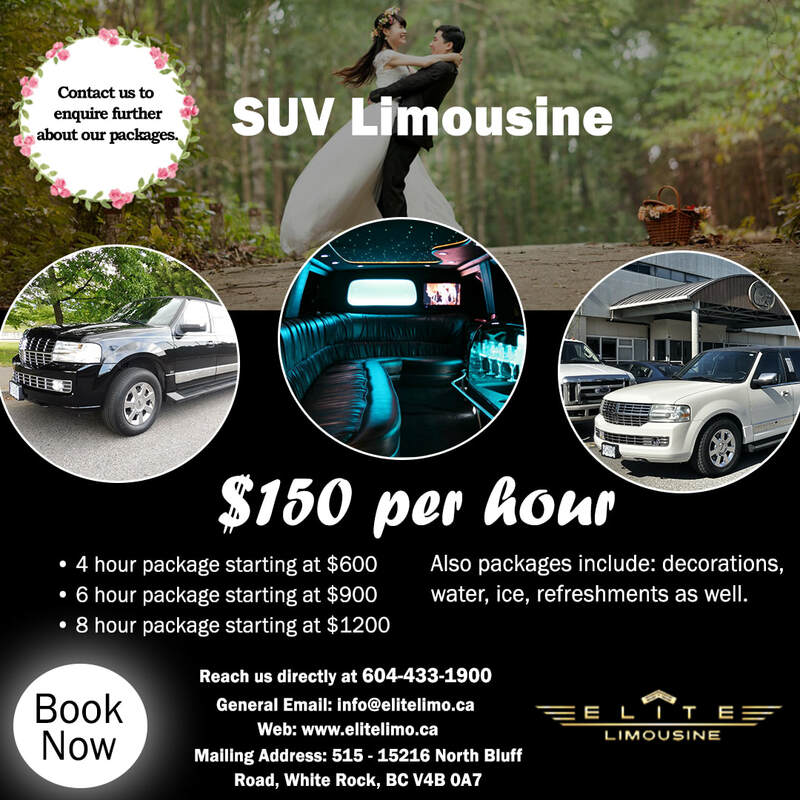 All time favorite Limousine bus you can use for your awesome wedding if you have a high amount guests. 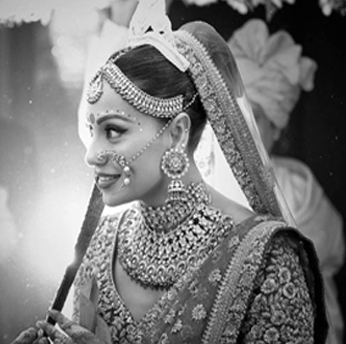 It can also be use for party purposes like you can tour your favorite places on it and party in it while we cater you in it. Our Limo Bus has a 22 passengers capacity. 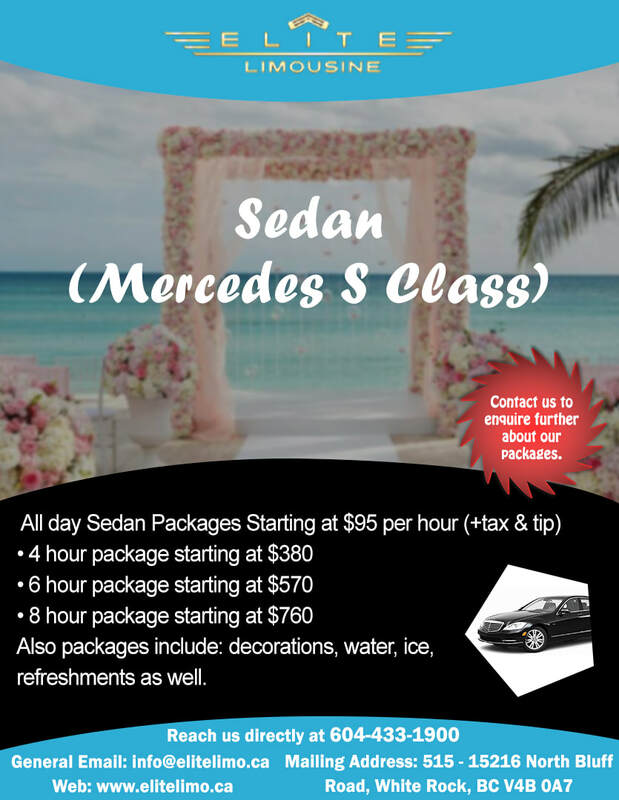 All day Bus Limo Packages Starting at $200 per hour. Don't miss the exclusive discount offer.